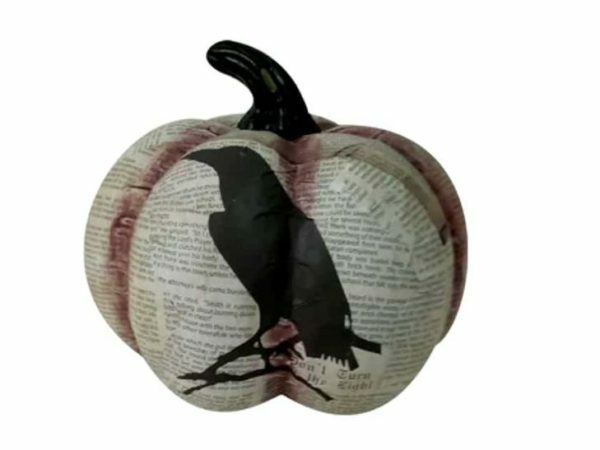 Poly pumpkin with newsprint covering and black crow design. Pumpkin is covered with print which looks like it comes from an old book. The print is telling stories about scary and sinister happenings.